Sometimes, at this time of year, the sun sets before it gets close to the horizon. 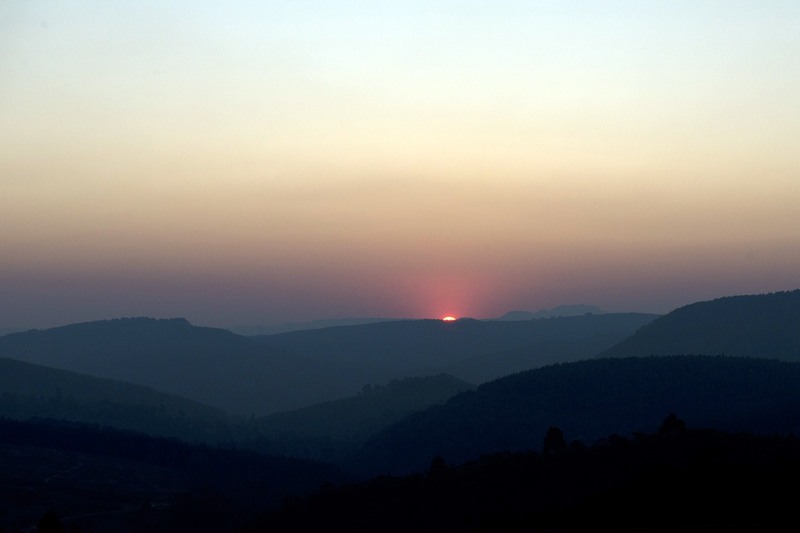 This photo was taken up at Nyanga in the eastern highlands two weekends ago. 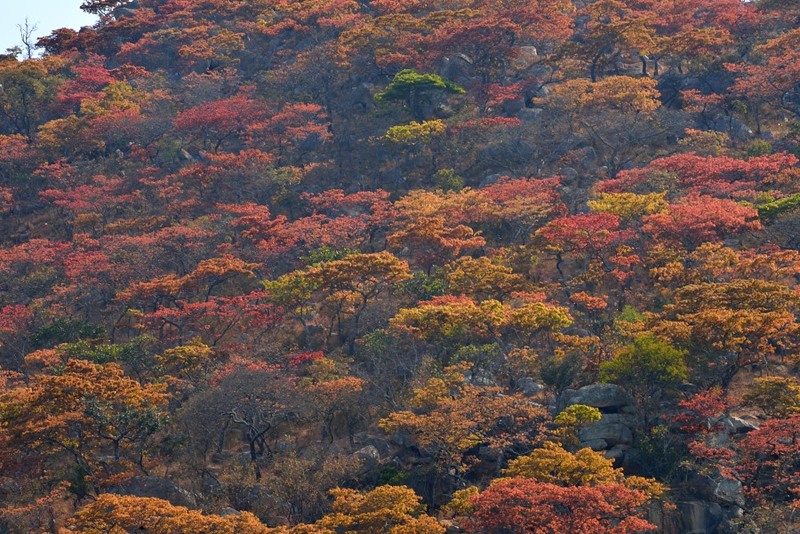 I was up there again this last weekend to take photos of the msasa trees whose colour can be spectacular but there was just too much smoke around and the colours were very muted. And yes, the sun actually “set” before it got to the horizon. This is the dry season in Zimbabwe and the bush burns. Not just in Zimbabwe but the surrounding countries too are ablaze. This year the winter has been unusually long and unusually dry. Nyanga being on the eastern escarpment overlooking the Mozambique flood plain does often get winter rain. It’s not heavy but the mist and rain, or guti in the vernacular, can last for days. This year it’s been rare and it shows in the dryness of the bush. There is a strong el Niño forecast for this season and that is not good news for us. Not because it is likely to bring a drought – droughts after all are endemic to southern Africa and we have survived droughts in the past. Now we don’t have the resources to survive a drought because the commercial farms are largely derelict and the dams (reservoirs to others) that should be used to irrigate crops are underutilized. There is of course an irony here. The nation’s largest reservoir, Lake Kariba, is worryingly low. We share it as a hydro power resource with Zambia and it’s capacity is normally stretched to the limit so when the rains are weak in Zambia which is the main catchment, as they were last season, the lake doesn’t fill. Both countries’ economies are heavily dependent on the lake for their power so now there is already squabbling over what’s left and our already punitive power cuts are getting worse. Not good news for a nation that is already crippled by economic mismanagement.